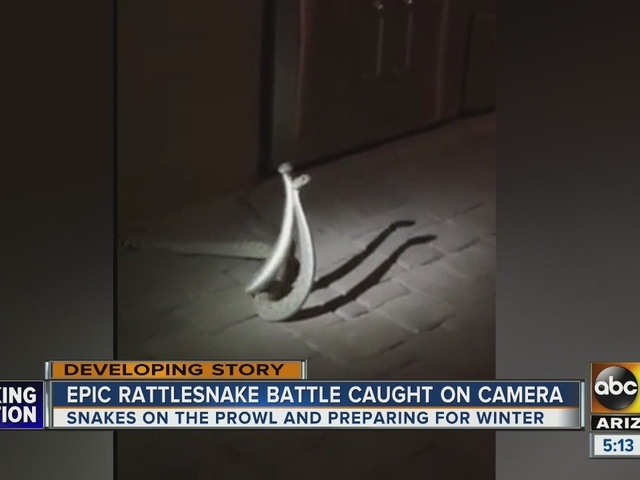 It was an epic battle between two rattlesnakes and it was all caught on camera. The wrestling match went down Wednesday night, in the backyard of a home in Arizona. Bryan Detwiler says his patio became a ring-side seat. "They were fighting for like three hours, so for the first hour and a half I was like, what do I do?” said Detwiler. 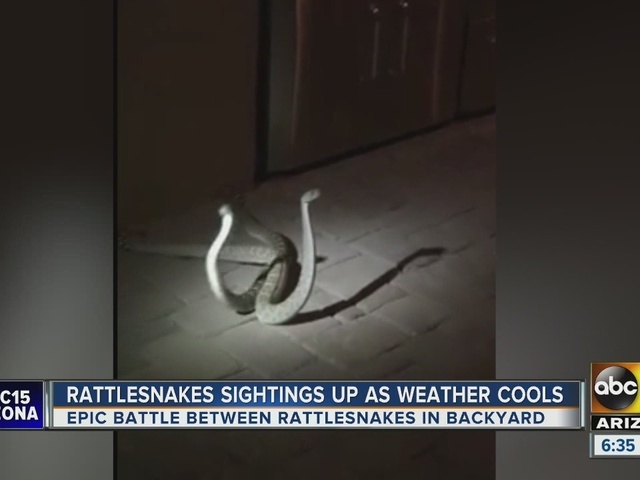 Snake Experts say the slithering dance caught on video is just part of the typical winter wind down for the reptiles. "They have to go out and get last meals, some of them mate, and they have to travel to the place where they're going to be spending the winter,” said Bryan Hughes the owner of Rattlesnakes Solutions. Hughes says his company is handling five to ten calls per day for snake removals. As for the epic snake beat-down, Rattlesnake Solutions found a total of three snakes, which were safely removed and released back into the desert area.